As is often the case for when I go to a theme park, I forgot to pack at least one or two essential items for our trip! It is never been a spontaneous day trip and yet I am not packing the essentials to make the most of my day worry free! 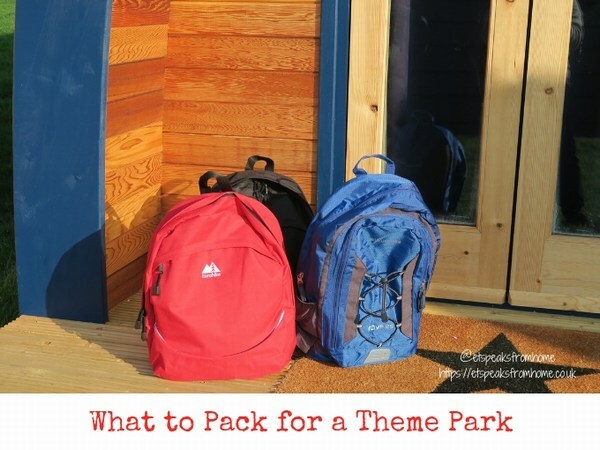 Hence I am writing this blog to remind myself in future and also to share my tips with my readers on what to pack for theme parks! The beauty of autumn makes it one of my favourite seasons especially when the trees rain down red, yellow and orange leaves. It’s also the time to get your winter coats and woolly jumpers out! 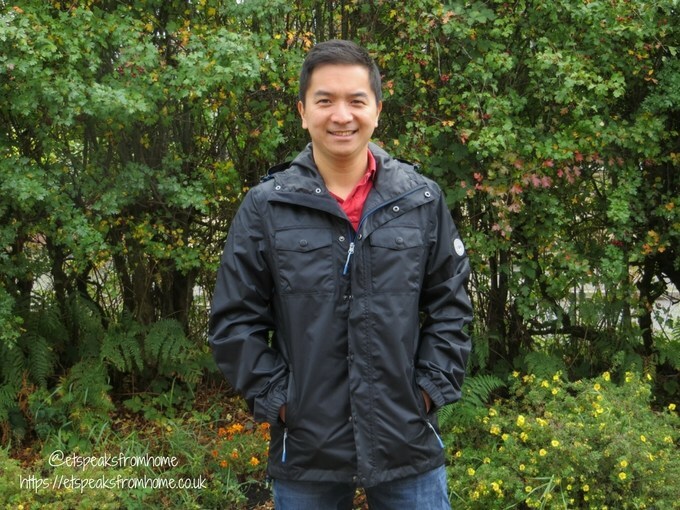 To get ourselves ready for this autumn, Mr C has picked a waterproof jacket and a hoodie from Jacamo. Lighthouse Clothing is a Belfast-based company that produces a great range of comfortable and durable outdoor wear that are perfect whatever the weather. Last month, they launched their new website and their Spring Summer 2016 collection. Have you checked them out yet? Every October is the International Walk To School month where primary school pupils from across the UK join forces with children in more than 40 countries worldwide to celebrate the benefits of walking to school. Even though we have to drive to another village, I park at the local pub car park and walk to school. Some of the parents do that and we often chat while walking together to school. 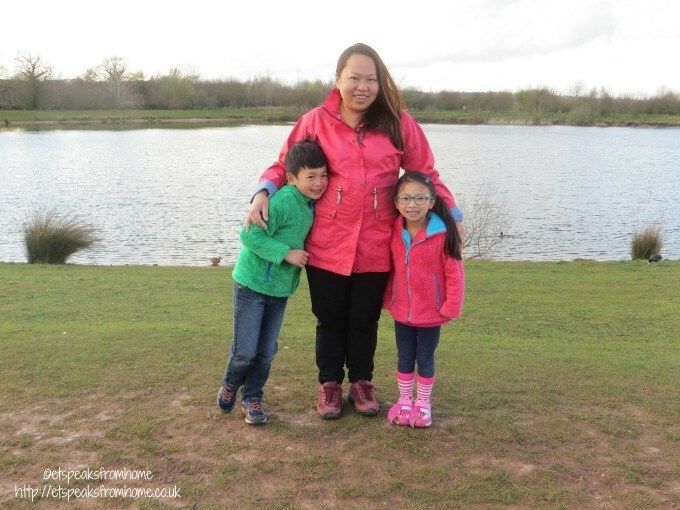 As autumn is here and the weather is getting colder, my family were thrilled to try out Hi-Gear jackets from Go Outdoors. These jackets are lightweight and comfortable to wear which will keep you warm at the right temperature. There is no more sweating inside a thick layer of coats. These jackets are just perfect for this weather! Ms C is wearing this cute reversible Hi-Gear Transformer Girl’s insulated jacket and Mr K is wearing this cosy Hi-Gear Transformer Boy’s insulated jacket. After we had a few days of nice weather, we thought summer was here to stay for a bit longer but the next moment, it turned cold with heavy rain! 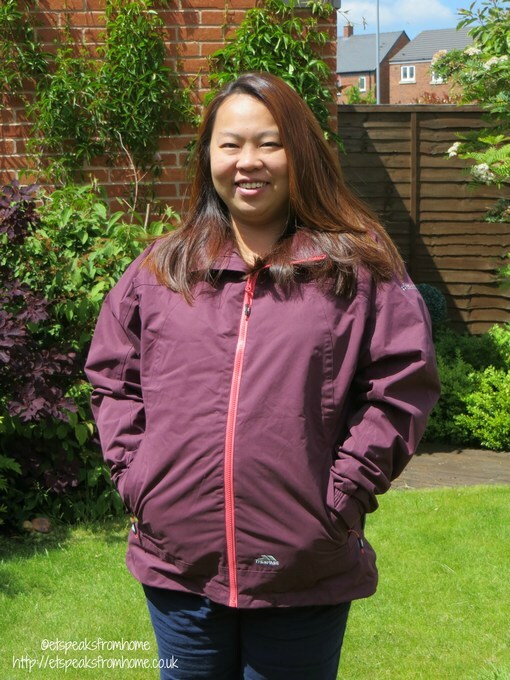 I am so glad to have this Trespass waterproof ladies jacket to get me through this horrible weather especially as I had it in time for our outdoor adventure to Conkers. It is a great jacket that keeps me warm and cosy. This is my first time owning a Trespass jacket and I am already impressed with the materials and workmanship. It looks great even after being machine washed at 30°C. We went to Conkers and it kept me protected from the rain and muddy puddles! As winter is approaching it is time to get out your coats. 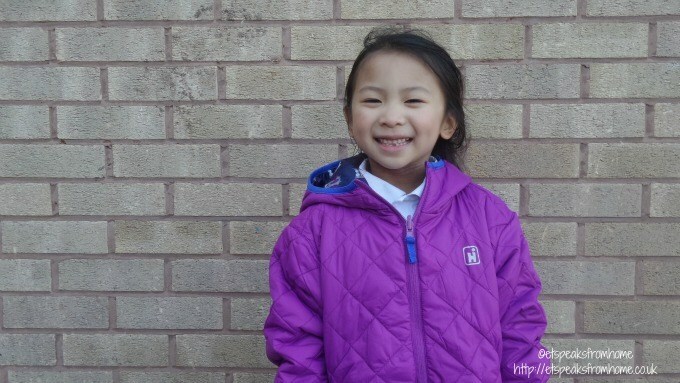 Ms C has outgrown her old white coat and we were very lucky to try a new website Miioon that allows the children to design their own clothes and accessories. Miioon is a co-creation site that is all about getting kids getting creative and designing their own clothes (Ruckjack, T-shirt, Swoopercape, and Pyjamas) selecting their own accessories, with some of their favourite characters – e.g. Moshi Monsters and Teenage Mutant Ninja Turtles. In October, Miioon are also launching a gift card through Asda which makes it a really easy Christmas gift – particularly for god children, friends’ children, young relatives etc. We have chosen to design a Ruckjack. A Ruckjack is a coat that cleverly transforms into a rucksack in four easy steps, making it perfect for rain or shine – ideal for school trips or running around the playground. The website is fairly simple to use. We went for a red jacket with Moshi Monster inner linen. We picked three characters out of 10 choices for the Oonits which you use it for the zip pulls on her Ruckjack. Each Oonit costs £1.99 extra and is optional. Add in the treasure box and select the size. It come with 5 sizes from 3 to 12 years old. I had a few problems with the free code and I tweeted them at @Miioon1. Within awhile, they tweeted back and help me solve the problem. We received the jacket within two days and it was very nicely packed. I am very impressed with the quick service and delivery!